This year’s Golden Globe nominations are filled with surprises. The Hollywood Foreign Press Association clearly fell in love with some movies much more than others. How about “Bohemian Rhapsody” as a Best Picture – Drama nominee? Rami Malek is also nominated in the Lead Actor in a Drama category, joined by Bradley Cooper – who is also a Best Director nominee for “A Star Is Born”. “BlacKkKlansman” got a lot of attention (Spike Lee, Adam Driver), along with Best Picture nom “Black Panther”. On the Comedy/Musical side, as expected “The Favourite”, “Green Book”, “Mary Poppins Returns” and “Vice” are dominant. “Crazy Rich Asians” also earned a couple of noms, along with sole recognition for “Tully” (Charlize Theron), “Eighth Grade” (Elsie Fisher), “The Old Man and the Gun” (Robert Redford) and “Stan & Ollie” (John C. Reilly). The Best Song category includes Dolly Parton’s “Girl in the Movies” from “Dumplin'” but nothing from “Poppins”. Another Song nominee: “Requiem for A Private War” from the war correspondent journalism drama that also earned Rosamund Pike a Best Actress in a Drama nomination. She’s joined by Melissa McCarthy (“Can You Ever Forgive Me?”), who took the slot many thought could go to either Natalie Portman (“Vox Lux”) or Julia Roberts (“Ben is Back”). Ryan Gosling is not nominated for his performance in “First Man”, but the Neil Armstrong drama is up for Supporting Actress (Claire Foy). Lucas Hedges is in three 2018 movies and has been recognized for his work in drama “Boy Erased” – opposite Nicole Kidman, who is nominated for her work in “Destroyer”. 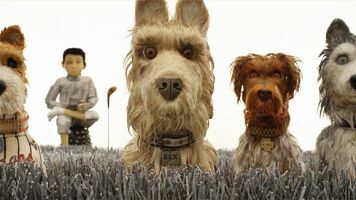 The Best Original Score category is one of the wildest of the pack, featuring three early in the year releases: “Black Panther”, “Isle of Dogs” and “A Quiet Place”. (Check out my LCJ Q&A episode with “AQP” composer Marco Beltrami.) They’re joined by “First Man” and “Mary Poppins Returns”. And Best Animated Feature is pretty much as expected, as these five could repeat for the Oscar. “Dogs” faces-off against “Incredibles 2”, “Mirai”, “Ralph Breaks the Internet” and “Spider-Man: Into the Spider-Verse”. 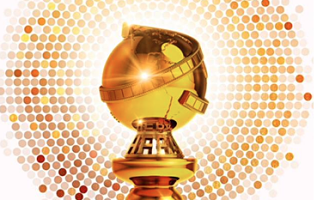 The 76th Annual Golden Globe Awards will be hosted by Sandra Oh and Andy Samberg on Sunday January 6th. The live telecast airs at 8pmET on NBC. For the complete list of nominees, visit goldenglobes.com.